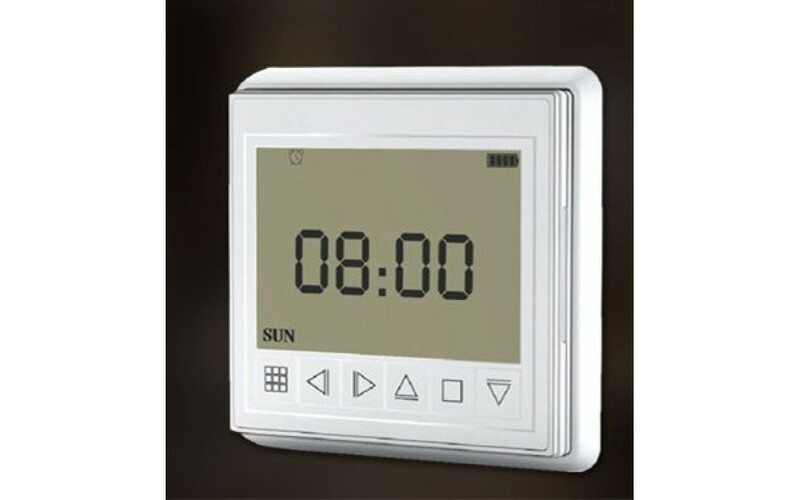 Single Gang size wall mounted LCD control Panel. 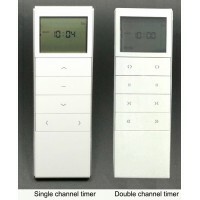 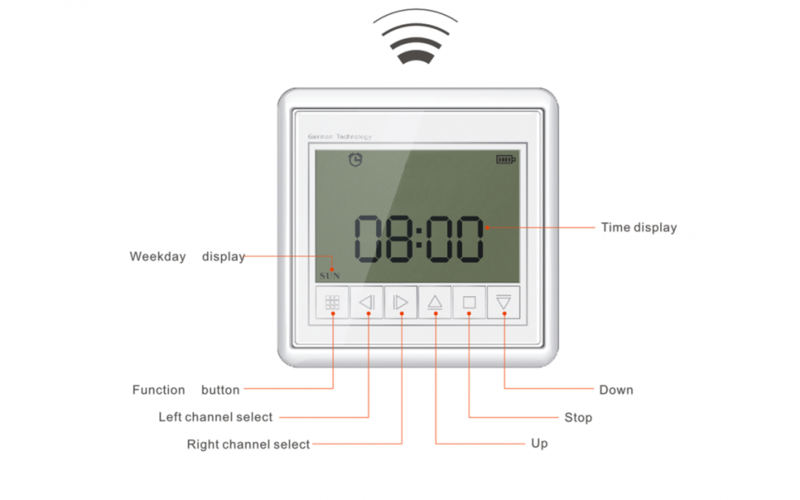 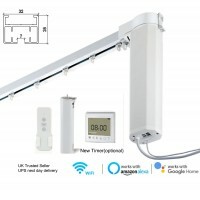 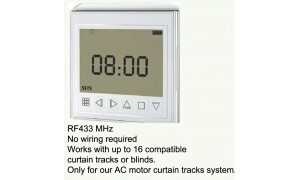 Can be programmed with 6 events daily or weekly. 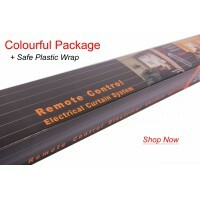 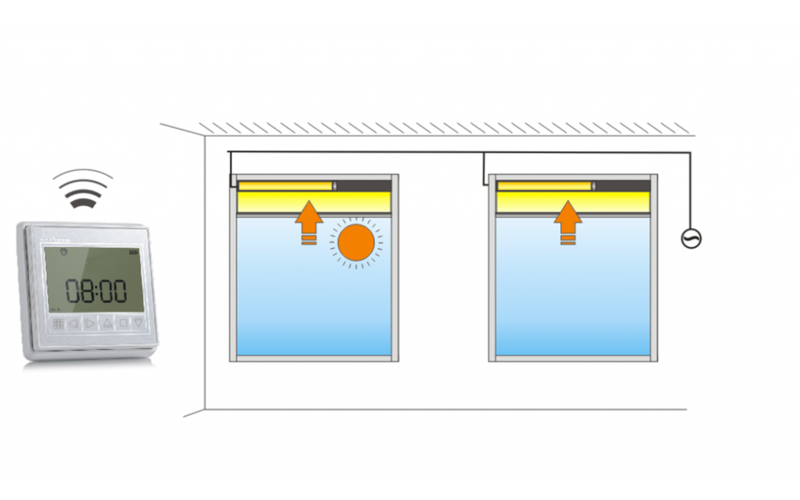 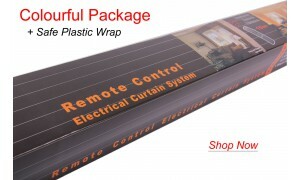 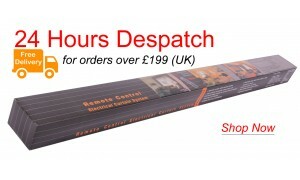 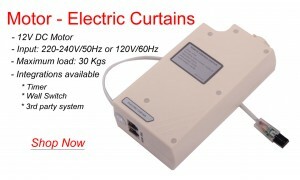 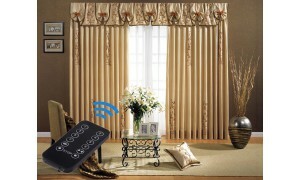 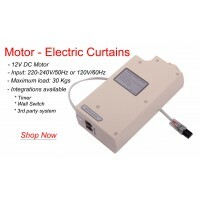 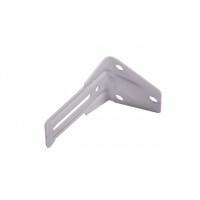 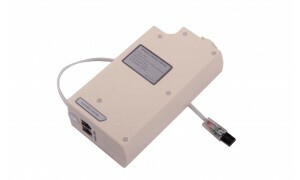 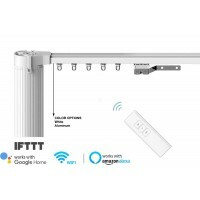 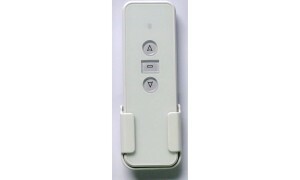 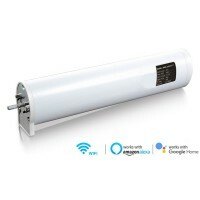 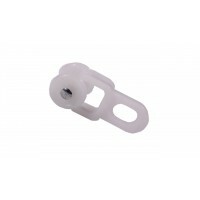 Works with up to 16 compatible curtain tracks or blinds. 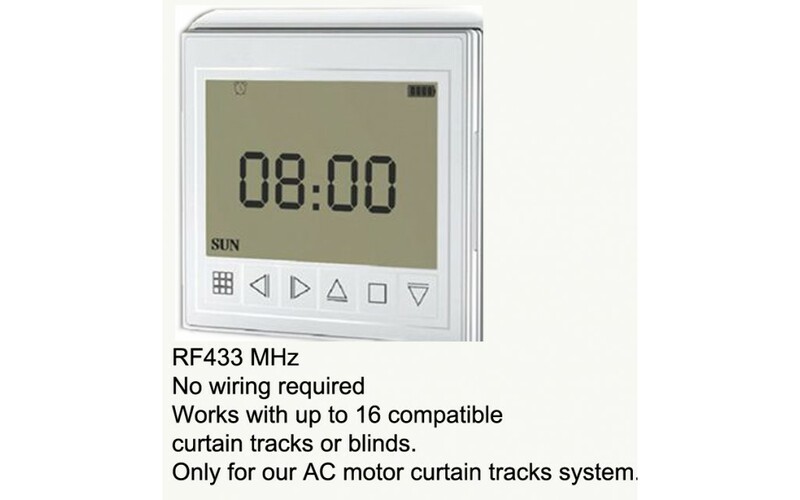 Uses 433.92MHz RF so may be compatible with other systems, but please check first.